The free LDN Health Tracker App is now available on, PC's, Mac's, Tablets, Android, and iPhone's. Take part in the worlds largest LDN Survey by using the App! 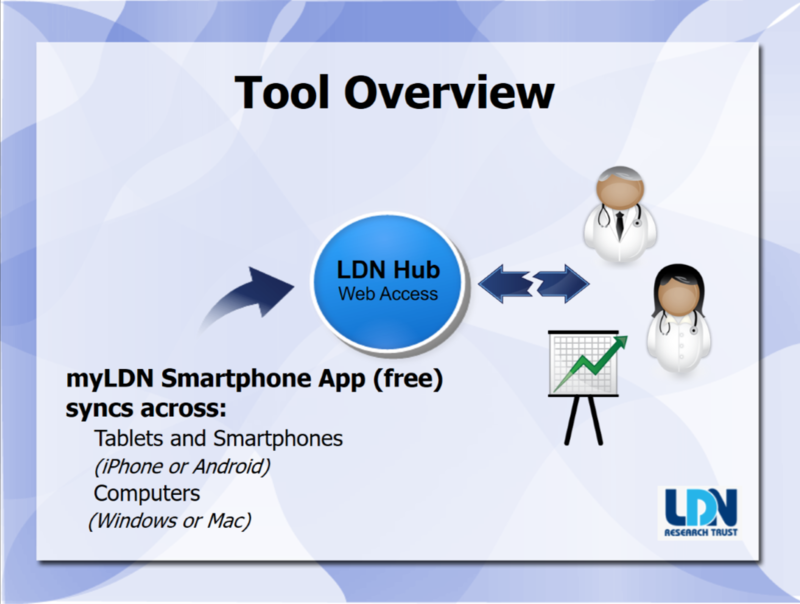 The LDN App can now be used as a monitoring tool for LDN Prescribers and Pharmacists to monitor their patients. Provide patients a tool for tracking their medication(s) and progress while taking LDN medication. Optionally, patients can also allow medical providers access to their information to enable them to easily monitor their progress. All data is collected anonymously; we don’t have access to your personal details like email addresses etc. It is quick and easy to register and use, best of all it is FREE! Registered for the LDN Hub here with no registration fee and monition patients for 12 months free.